This chapter offers a model explaining the motivation of ordinary soldiers in ancien régime Europe. 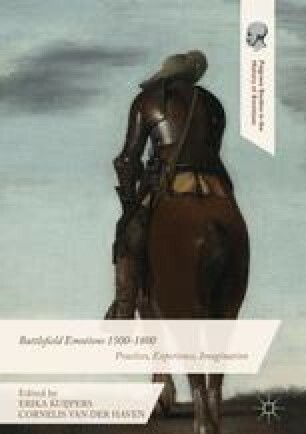 Unlike previous scholarship, which stresses the role of discipline and coercion, it argues that fear of dishonour formed the single most important collective source of combat motivation in the period between 1700 and 1800. The first part of the chapter explains how this collective habitus was created, sustained and eventually contributed to combat performance. Yet, although fear of social exclusion reconciled most soldiers with the need to fight, the horrors of combat still loomed large. The chapter concludes with a description of the mental strategies employed by the troops to help them overcome their fear, before and during battle. I am grateful to Helen Roche and Adam Storring for their help with this paper.